Our next MG Press title is something that’s becoming more and more important to us, especially as current events in the country continue to unfold: the digital re-release of Kali VanBaale’s award-winning first novel, The Space Between. 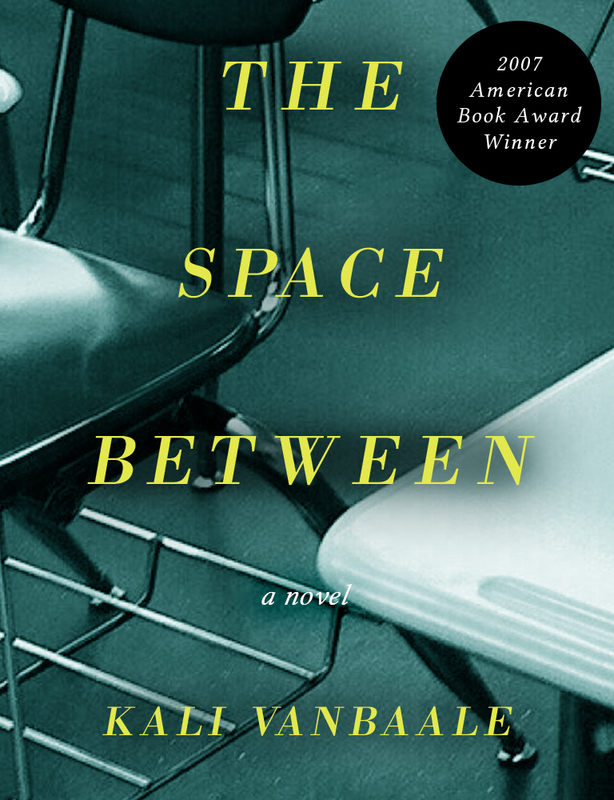 Due out June 12, 2018, The Space Between follows Judith Elliott, a mother in the Midwest who is going about her normal Valentines Day when she hears the news that her teenage son, Lucas, has taken a gun to school. He has killed two other students, a teacher, and himself. This novel was originally inspired by the Columbine tragedy, but recent events have made this story incredibly, and unfortunately, relevant. We hope that Kali’s contribution to the discussion is something that inspires meaningful changes in whatever way it can; she is a phenomenal writer, and this novel won an American Book Award in 2007, so we couldn’t be prouder to be helping her continue to share her voice with the world. Valentine’s Day in middle America. Judith Elliott fixes breakfast for her affluent suburban family. She kisses them all goodbye, tends to the house, makes plans for later with her husband. Then comes the news: her teenage son, Lucas, has taken a gun to school. He has killed two other students, a teacher, and himself. Judith, an ordinary wife and mother, must suddenly grapple with extraordinary grief and horror. As reporters gather and lawsuits loom, society shuts out the surviving members of the Elliott family—including husband and father, Peter, and daughter and sister, Lindsey—who are as blindsided by the tragedy as anyone. Judith struggles to be the center of what remains of her family but finds herself plagued by doubts and unanswerable questions that may eventually disrupt her life more completely than the initial tragedy. In this digital rerelease exclusive, Kali VanBaale’s award-winning first novel examines the aftermath of this modern nightmare with a clear-eyed dramatic precision that will leave readers wondering what does indeed lurk in the dark, unknowable spaces that exist between even the most loving of family members. In addition, you can pre-order a copy of the book for only $3.99 and save 20% off the cover price (reg. $4.99) when it launches June 12, 2018.